Being a member of PPA offers many tangible benefits to the member in addition to providing a collegial network for information sharing and social discourse. PPA Listserv - Join 700 member psychologists on our listserv where you can post your questions and get answers from fellow psychologists. Email ppa@papsy.org to subscribe. Professional/Legal/Ethical Questions? – PPA full-time staff members are available to answer these questions for you! Plus links too many articles written to benefit you as a PPA member. PennPsyPAC/Legislative Issues – The PennPsyPAC is PPA's political link to enable psychologists to promote their messages in Harrisburg and Washington. PPA provides updated information regarding important legislative issues for private practice, mental health and managed care. My Benefits Advisor– partnered with PPA to bring members exclusive insurance (medical, dental, and vision) products of exceptional value and quality. IC Systems – PPA suggests I.C. System for Intelligent Collections. 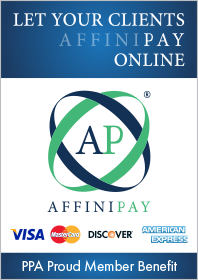 Your accounts are handled by collectors who specialize in the type of debt encountered by our members. 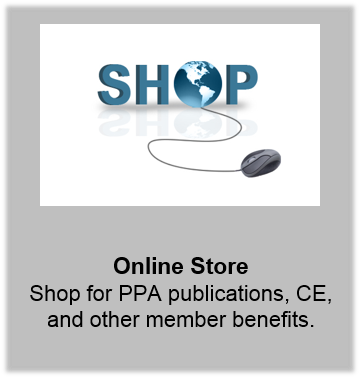 PPA Publications – discounts on home studies, books, and study materials (click for online store) to the official bulletin of PPA the Pennsylvania Psychologist, free to PPA members, published monthly that contains everything from the practice of psychology and psychological research to classified ads. Discounts on CE Events – PPA has the Annual Convention every year in June, plus other CE events offered throughout the year that focus on current professional issues with renowned speakers. Legal Consultation Plan – offers expert legal advice on psychological practice issues and is offered to PPA members at a very special rate.